From the tree-climbing to water skiing and golf, the shores of Arcins offer many sporting activities that will allow you to relax and enjoy. Enjoy this natural setting to recharge your batteries. Discover the tree climbing in St Caprais de Bordeaux. This activity consists of a set of games most often arranged from tree to tree, but also on structures planted like poles. Sport, adventure and outdoor activities are at the rendezvous of your stay. From the Tarzan jump, to the zip line, to the walking cable or all kinds of monkey bridges, the diversity of the games offered between the various supports is infinite. The imagination of the designers therefore does not cease to propose every year a multitude of new modules of games. Ideally located in Entre Deux Mers, halfway between Bordeaux and Saint-Emilion, the Golf de Bordeaux Cameyrac offers an idyllic setting, between vineyards and century-old oak trees, an emblematic landscape of the Bordeaux heritage. Just 20 minutes from Libourne and 15km from the future TGV line, you will be charmed by its wooded trails surrounded by beautiful residences. EXO 33 on the lake of Baurech (Gironde) is located 20 km south-east of the city center of Bordeaux, it is a magnificent body of water located on the banks of the Garonne. 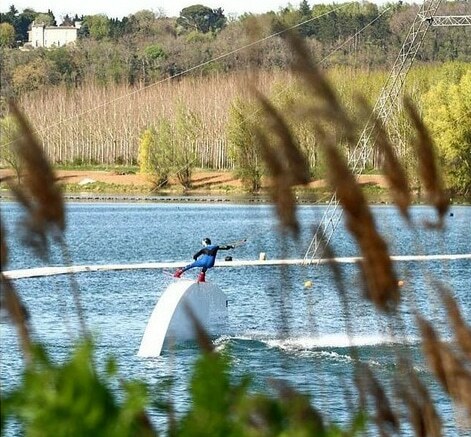 This leisure base is entirely dedicated to the practice of water skiing, wakeboard and their derivatives; A part of the lake being equipped with a water ski lift with Wakepark (various springboards and slide bars). 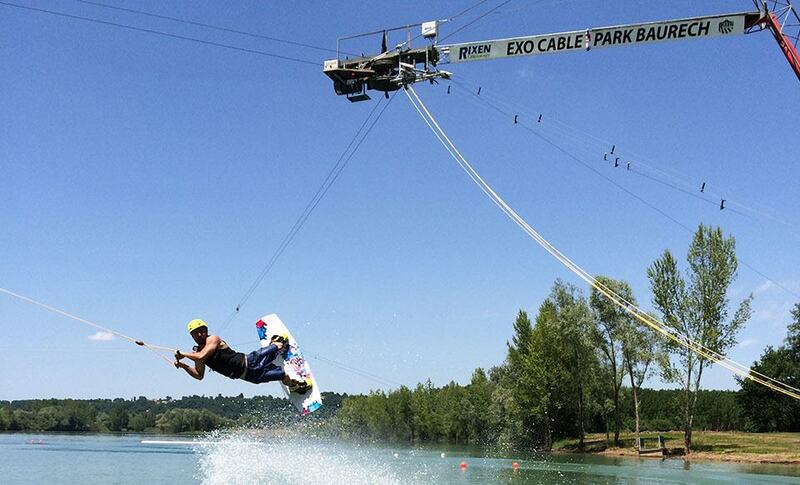 The water is also home to the Bordeaux water ski club and its two boat courses equipped with certified slaloms. Various formulas and different rates are proposed in order to initiate you or to perfect yourself framed by dynamic instructors and graduates of State. Finally, to take full advantage of your stay you can eat, refresh yourself, sunbathe on our sunbathing or even shop in our specialist shop.